Deletes all of a users negative reputation. Great for rep abuse clean up. 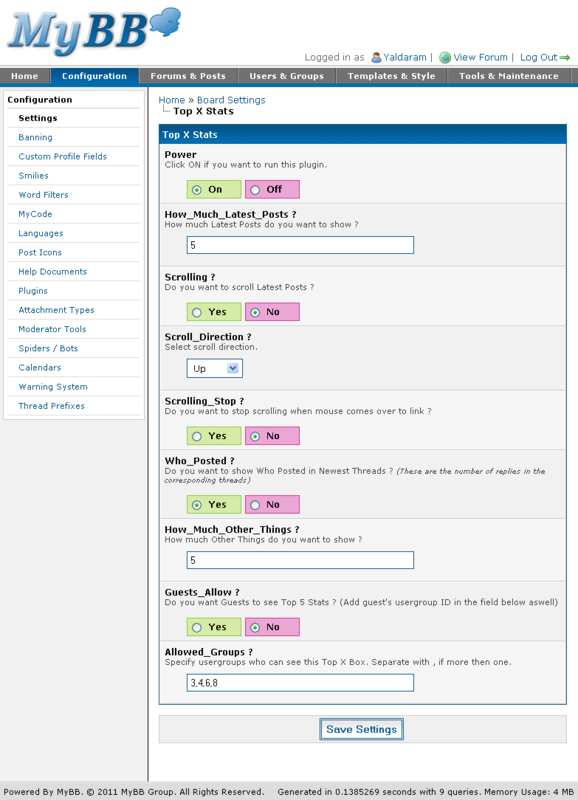 This plugin show a complete statistics users and forums. 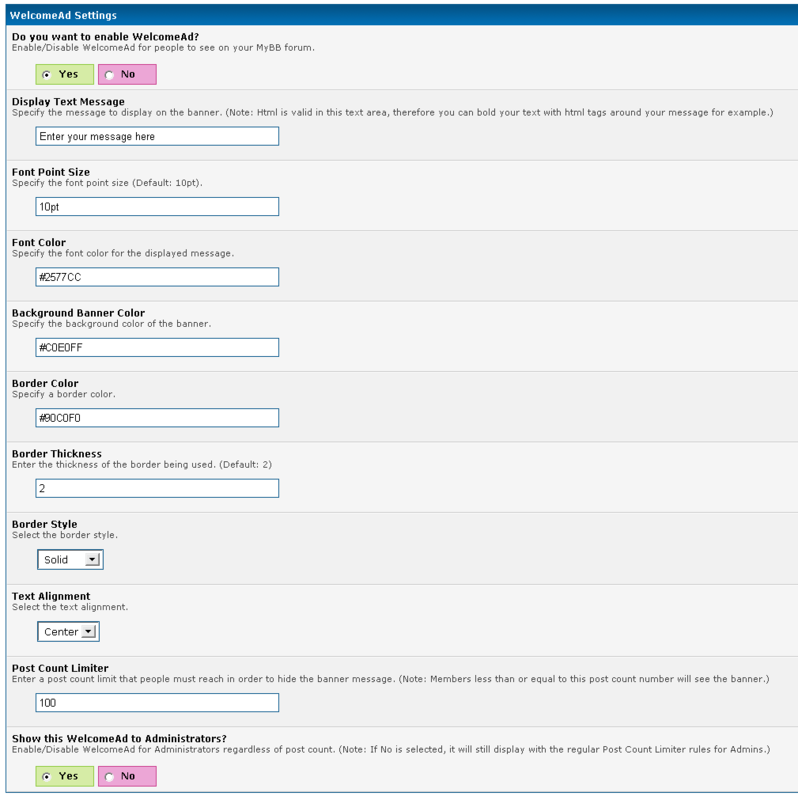 MyTabs is a plugin which allows the board administrator to group forums in tabs. Shows upcoming calendar events at the forum index and the portal page. Adds recent topics on index page. 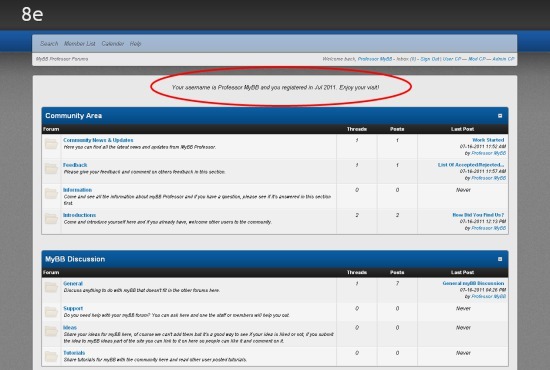 Top stats of your community with extended permissions on the top of your forums. Displays a bordered box prompting guests with configurable messages and content. This plugin fetches a list of "selected" amount of top poster users from the database, with there avatars, with the already available 6 time sets selecting from the drop down menu within ACP settings, and display them on index board stats. Have a nice fireworks allover your board.